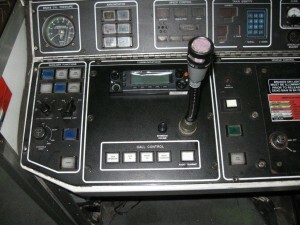 Are you modernizing your train radio system? Do you operate a fleet of trains or buses with different connection standards? No problem! Intelect can develop a control system to upgrade your on-board communications quickly and easily. Based on our extensive experience in the transportation industry, we understand there’s rarely a “one size fits all” answer to our customers’ needs. We listen to you, and only after we understand the goals for your project or system, develop the best technical and business solution. This frequently requires us to assess your situation from a different perspective, then create an innovative approach specifically for your challenge. When one of the nation’s largest transportation groups needed to upgrade the radio network for all their trains, they knew that would require an overhaul of their on-board communications control system. Their situation was made more complex by a fleet that included five different types of train. Deploying this new radio network into the existing fleet would require a workable custom solution. So Intelect developed a better way – take a look at the results! Provided System Engineering services that included the customer every step along the way, synthesizing the customer requirements into a value-based design. Developed a digital universal control panel design. This solid state design greatly enhanced the reliability and maintainability of the older design, such as the use of LED illumination instead of incandescent that saved many thousands of dollars in materials and labor annually. Designing radio integration to the control panel in a way that eliminates single point of failures. 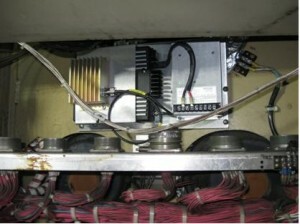 Change to cable adapter modules for each of the five train forms, making for a safe and reliable method to connect the panel to each train. Pre-assembled and tested all the components to ensure consistent and flawless installation, even among different train series and with different work crews. This strategy will also make troubleshooting and maintenance much easier in the future. Uncovered unique ways to improve safety and efficiency, e.g. placing the microphone where the driver could make announcements while still watching the track. These innovative design, product and process improvements enabled the customer to receive a quality installation of communications control panels and related equipment for nearly 1,000 trains, with a reduction in time and increased reliability, and at a lower cost than similar projects. Every train and bus needs a robust communications system, to ensure stop announcements and safety messages are received by all passengers, and external calls are executed effectively. And many of these fleets will have more sophisticated technical challenges as they meet the demands of a dynamic business. No matter what your needs, Intelect is there for you. Contact us today at 410-327-0020 or by email to learn more about our communications control solutions!